For many people, winter home building is perhaps the last time of the year that they would want to start new home construction. It’s understandable as the numbing winter cold can be quite a deterrent. However, the majority of the reasons why people opt to avoid winter as the time to begin building revolves around some myths that are simply not true. Winter doesn’t necessarily have to mean home construction coming to a halt. 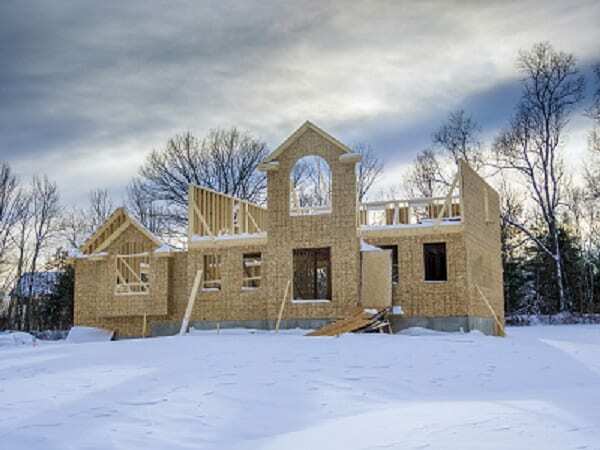 Here are four myths about winter home building that shouldn’t stop you when considering winter construction. Construction workers are naturally tough and hardy folks. While it is obviously a no-brainer that many of us would prefer to work in perfect weather, it’s not always the case, and poor weather conditions are more common all throughout the year. Home construction workers have seen them all, from strong winds, heavy rains, melting heat or biting cold. Overcoming these challenging working conditions is just part of a home builders job description. This means that winter won’t be much of a problem for us. As a matter of fact, there are even a fair amount of builders who favor the cold to working in heat and humidity. During housing boom years, construction crews have the option to take days off in the winter season. But, some home builders are more than happy to participate in winter projects if only due to the fact that winter home construction is . Outdoor work can also be done with surprising efficiency on a new home when temperatures are in the 30s and high 20s where there is no ice. Interior work meanwhile, can be accomplished with haste as long as the house is covered with a vapor barrier and temporary heaters are in operation. The truth is, calcium chloride is mixed to the concrete to hasten the curing process during cold weather conditions. It’s important to note, however, that concrete with additives is not weaker to concrete without additives. Concrete walls with additives will need to adhere to building code requirements and all throughout its decades of use, the process has proven nothing but satisfactory results. Now, certain temperature limitations make it impossible to pour concrete. But there are also different methods to safeguard freshly poured concrete from the biting cold such as covering it with blanket and straw but this particular type of methods are not as effective as putting mixtures in your concrete. While everyone would certainly love to conduct the framing stage on a nice and warm sunny month with minimal humidity, such an ideal condition is a rarity – especially in Washington. The lumber industry knows full well that inclement weather is quite uncommon and it has continuously made advancements in the milling process that prevent damaging effects of poor weather. Before they even reach a construction site, framing lumber is kiln dried at 19% moisture content. This condition is consistent throughout the year, and this is the time when ambient humidity takes its effect. In times of rain, lumber absorbs a portion of the moisture in its surroundings making it even “wetter”. In summer days, when the air is highly humid day and night, the 19% moisture content left inside the lumber becomes permanently trapped throughout the duration of the project. Air conditioning can aid in speeding up the drying process but only a few builders do so and when it is used, it’s usually in the last stages of the construction. On the other hand, when lumber is exposed to a rainy day during winter where humidity is extremely low, it naturally loses the remaining moisture throughout the construction process. And because homes under construction are naturally heated during the cold winter days, the lumber’s drying process speeds up even more. Also, snow has no damaging effects on lumber as long as it is removed before it melts. There is no denying that there are a few extra costs are attached to a home construction project in the winter. You may need to spend extra on topsoil or clay if the materials become unusable, and blankets and ground heaters are a standard to keep the construction going. However, these costs are trifling compared to the overall cost of the project. And when you consider the fact that the price for materials and labor will normally go up in early spring, the extra costs in winter becomes a more favorable route. 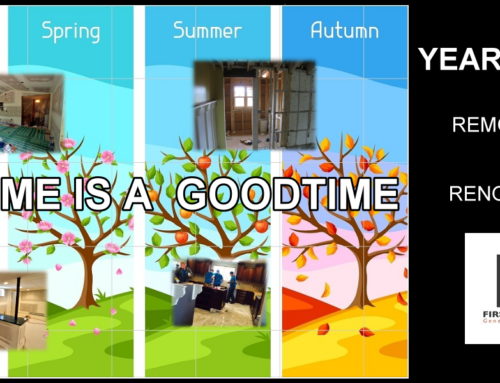 In fact, the price increases in spring are often more expensive than the additional costs related to cold weather construction. 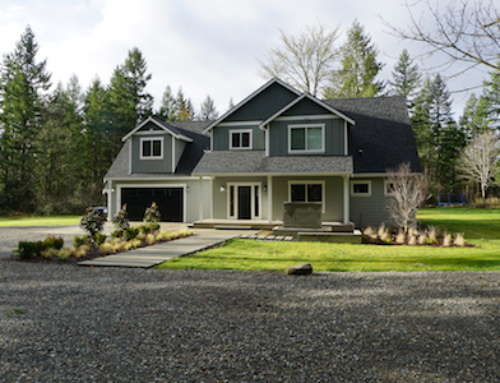 When needing home construction anytime of year, we invite you to talk with Olympia home builder, First Finishers LLC .